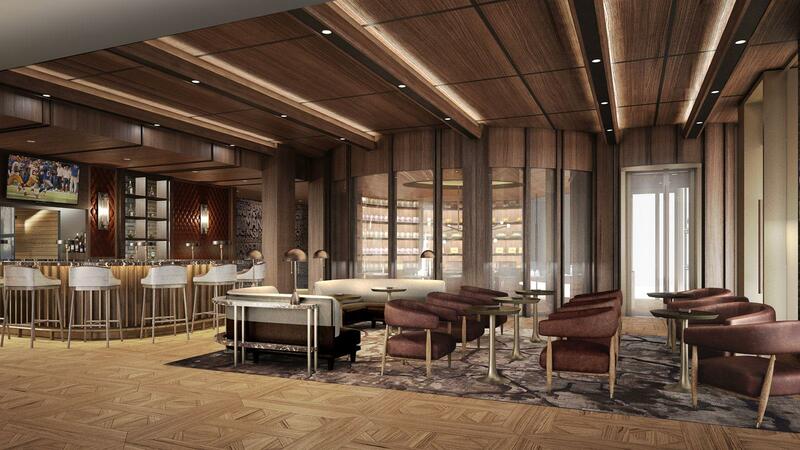 Rare whiskies, a spacious humidor of about 1,000 cigars and a cigar-friendly seating area designed to feel like a courtyard are just some of the experiences that will be offered at the new Montecristo Cigar Bar, scheduled to open in Las Vegas's Caesars Palace in the next few weeks. 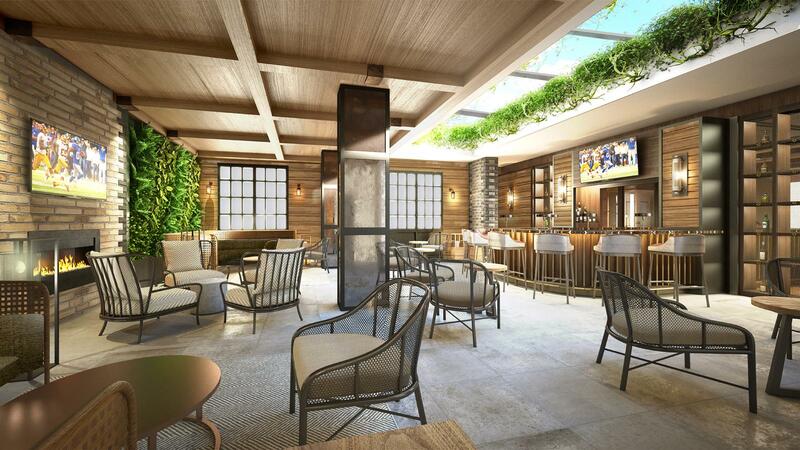 Caesars Entertainment has revealed that the cigar bar, which was designed by award-winning architectural firm Rockwell Group, will offer four distinct experiences for the cigar consumer within its 4,000-square-foot space: a signature bar, a library, a courtyard and a vault. The signature bar will offer bar-top gambling, while the library's luxe-industrial aesthetic and nine televisions will give guests a space that feels more residential. Green design elements and a skylight were put in place to give the courtyard area a more natural outdoor feel, and a 10-seat vault offers guests who desire privacy a more intimate setting. The exterior of the new Montecristo Cigar Bar, scheduled to open in Las Vegas's Caesars Palace in the next few weeks. "The sheer size, elegance and commitment to customer satisfaction will make Montecristo Cigar Bar unique in the Las Vegas landscape," said Malecon Tobacco's Michael Frey, one of the partners in the new cigar bar venture. 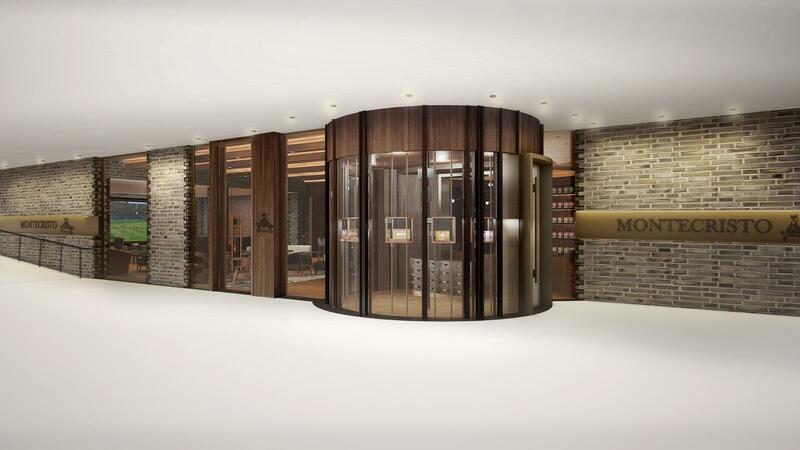 The retail and humidor portion of the Montecristo Cigar Bar will comprised two intersecting circles with custom-made curved glass walls and shelving. Inside the 400-square-foot humidor, cigar brands such as Montecristo, H. Upmann, Romeo y Julieta, Ashton, Arturo Fuente, La Aroma de Cuba, My Father, La Flor Dominicana, Padrón and San Cristobal will be available for purchase. The signature bar will offer bar-top gambling, while the library's luxe-industrial aesthetic and nine televisions will give guests a space that feels more residential. By special arrangements, guests will also be able to order a gourmet meal from nearby restaurants Old Homestead Steak House, Nobu and Restaurant Guy Savoy, a service that is truly unique when compared to Frey's other Las Vegas cigar bar establishments (Rhumbar and Casa Fuente). Additionally, Montecristo Cigar Bar's spirits menu is peppered with rare selections such as Pappy Van Winkle Bourbon, Buffalo Trace's Thomas H. Handy Sazerac straight rye whiskey and Rémy Martin Louis XIII Cognac. For those who wish to forgo an alcoholic libation Lavazza coffee will be sold, including tableside French-pressed coffee.